Step back into an era of cruel crusaders and dreadful dungeons in this horrible history book! 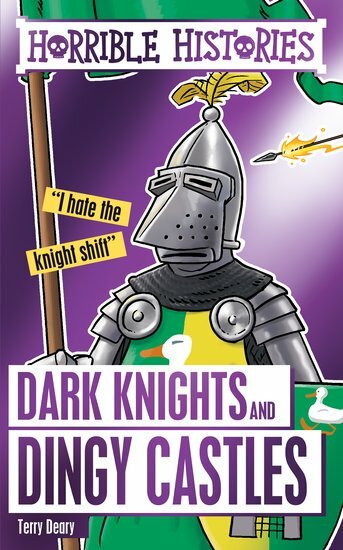 Terry Deary takes you charging back to the days of chivalry, when knights clanked about in shining armour waving weird weapons – and pitiful peasants cleaned up the mess afterwards! It’s a gruesome trip that takes in terrific tournaments and savage sieges, before descending into the dark dungeons of creepy castles. History has never been so horrible! 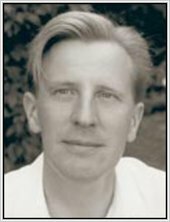 Philip Reeve was born and raised in Brighton, where he worked in a bookshop for years while also producing and directing a number of no-budget theatre projects. 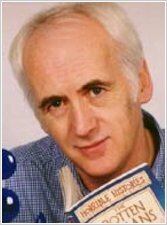 Philip then began illustrating and has since provided cartoons and jokes for around forty books, including the best-selling Scholastic series Horrible Histories, as well as Murderous Maths and Dead Famous. He’s been writing stories since he was five, but Mortal Engines was the first to be published. Mortal Engines defies easy categorisation. It is a gripping adventure story set in an inspired fantasy world, where moving cities trawl the globe. A magical and unique read, it immediately caught the attention of readers and reviewers and won several major awards. Three more Hungry Cities novels followed, and Philip’s latest project are the Fever Crumb books, prequels set centuries before the events of Mortal Engines. Philip has also written Buster Bayliss, a series for younger readers, and stand alone novels including Here Lies Arthur, which won the Carnegie Medal. Philip lives in Devon with his wife and son and his interests are walking, drawing, writing and reading.